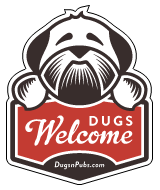 Dog Friendly Pubs, Cafes, Shops, Walks & Accommodation in East Lothian, Scotland. Serving fresh local food 12 – 8pm with an extensive bar of spirits, lagers and ales you simply wont find anywhere else in town! Locally sourced food together with a fine selection of quality drinks at our family run, village eatery. We’re dog and family friendly. Family Friendly with kids menu and high chairs (until 8pm). The Crown And Kitchen Guest House is minutes from Tyninghame Beach, arguably one of the best in Scotland. It’s an ideal spot for dog walkers looking for a luxurious break with fabulous food to come back to after a hard day of hiking. We have a garden and bar area where you are able to bring your dog. The only restriction is within the restaurant and accommodation rooms. There are a total of 63 dog friendly listings in the East Lothian category. Please log in, or sign up as a member to view all listings.